Paul Weller is an English singer-songwriter and musician. After gaining prominence as a member of The Jam and The Style Council, he launched a successful solo artist in 1991, releasing three commercially successful and critically acclaimed studio albums that became massively popular in England. Weller is frequently cited as one of the major figures of the 1970s and 1980s mod revival. 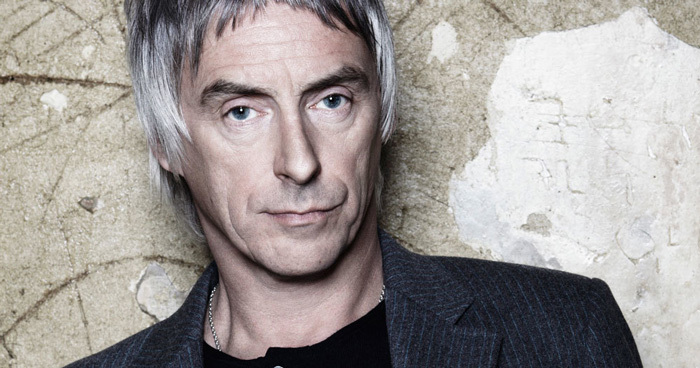 Born on 25 May 1958 in Sheerwater, England, his parents named him “John William Weller”. Weller belonged to poor family; his father was a taxi driver, while his mother worked as a part-time cleaner. He developed an interest in rock music when he was eleven years old and a young student at Sheerwater County Secondary school. Inspired by popular British rock bands like The Beatles, The Who, Small Faces, and Status Quo, Weller learned to play guitar and laid the foundation of the first lineup of The Jam in 1972. After gaining widespread stardom with The Jam – one of the most prominent punk rock bands of its era, with a huge following in Mod subculture – Weller went on to pursue a more diverse and soulful style with The Style Council in 1983. He embarked on a critically and commercially successful solo career in 1991. Weller established himself as a national rather than an international icon. His songwriting style is deeply rooted in British culture, traditions and society. Weller was perhaps the most important figure of the 1970s and 80s Mod revival, a fact due to which he was given the honorific title of “The Modfather”. Paul Weller won the Best Male Solo Artist in 1999 and a Lifetime Achievement Award in 2006 at the BRIT Awards. He has also received several NME Awards. Paul Weller married his romantic partner and backing singer, Dee C. Lee, in 1987. The couple filed for divorce in 1998. They have two children together, namely Leah and Nathaniel. Weller married Hannah Andrews, another backing singer on his 22 Dreams album, in 2010. The couple had twin boys, John Paul and Bowie, in 2012.